Calcite Powder is a natural form of Calcium Carbonate with extremely high whiteness, purity and free flowing in nature. White Calcite Powder is widely used in plastics as filler, due to its high dispersibility, low oil absorption, high impact resistance, smooth surface finish, easy processing, compatibility with polymers and other organic additives and excellent dimensional stability. The total production of Calcite Powder for the year 2007-08 was 1000 M.T. per month. 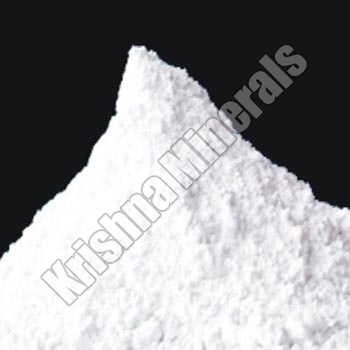 Additionally, we are reckoned as one of the prominent Calcite Mineral Powder Manufacturers and Suppliers in India. We provide coating of Steric Acid on Calcite Powder. The Coated Calcium Carbonate powder is used in plastic compounds manufacturing to avoid moisture contains. Calcite powder is available from 100 Mesh to 700 Mesh. Calcium Carbonate is also available in granules size.